This booth display is the perfect invitation for visitors to stop by and hangout. Completely customize this design inspiration with personal branding and added booth features to get the look your company is going for. 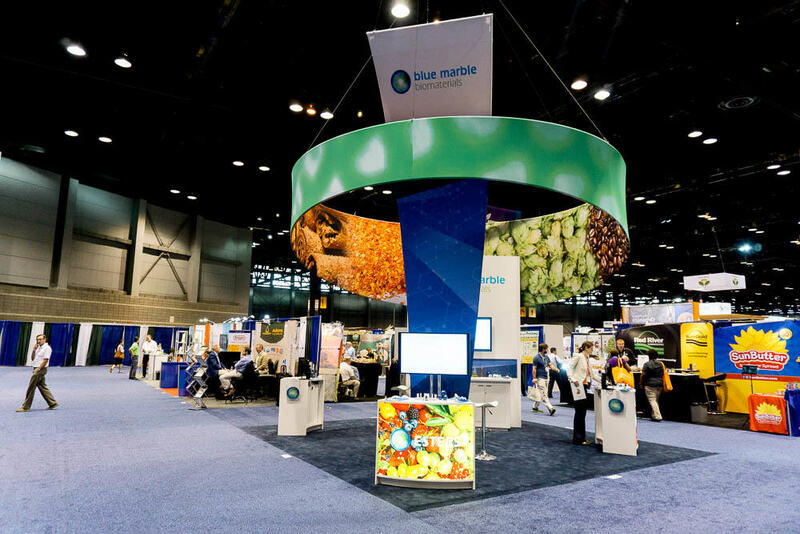 With a center pillar that acts as the anchoring point of this booth, the Bayer 20×20 Viterion booth is the pinnacle of functional design. The seating area around the pillar acts as the perfect place to sit down with a client and have a valuable conversation. On the far side of the booth lies two information kiosks both fit with their own monitor displays. In conjunction with a knowledgeable exhibitor, these kiosks can aid in successful lead conversion.